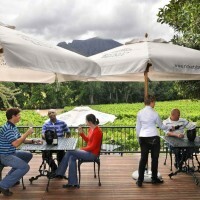 Rickety Bridge wine estate is undoubtedly one of the most progressive boutique wineries in the Cape. 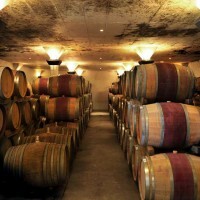 The historic wine making cellar was recently renovated and converted into a barrel fermentation centre, the new winery was built and modern cooling equipment was installed. Shadowed by the Dassenberg mountains, the mild Franschhoek valley is the perfect canvas for new winemaker Wynand Grobler to create a portfolio of outstanding Franschhoek wines. The Foundation Stone range is named after the cornerstone of the original ‘rickety bridge’ which straddles the Franschhoek River, ushering one into the estate. Tones of strawberry, Turkish delight and candy floss dominate the nose and palate with an elegant spicy finish. The full palate is supported by easy natural acidity. Perfect with chicken salad, scrambled eggs with smoked salmon or delicious served on its own as an apéritif.